We have all heard that our bodies are composed of mostly water. A 60kg individual is composed of around 48kg of water in which all their body’s biochemistry will take place. Water has a number of other functions in the body – evaporative cooling, glycogen storage and maintaining electrolyte balances. The loss of even a small proportion of this fluid (ie. 2% of body weight) can significantly reduce body functions and for athletes, performance. It can also be life threatening. When we consider that this is only 1.2L in our 60kg athlete, we begin to realise how significant the process of optimal hydration is. This stuff makes or breaks your race, but electrolyte drinks are very important too. A 60kg adult at rest will consume around 0.2L of oxygen per minute, generating 70 watts of heat output. However, when running at threshold, oxygen consumption can increase 16 times and heat output rises to 1100 watts. The only way that this heat can be lost rapidly is through evaporative cooling, otherwise known as sweating. Sweating involves the loss of large amounts of fluid from the skin’s surface, which is then wicked away by air resulting in body cooling. In hot conditions it would take our 60kg individual around 1.5-2L of sweat to remove this excess heat. Replacing fluid lost through sweat and urine is not the only justification for the importance of hydration. Glycogen or stored muscle carbohydrate is the body’s main source of energy. However, fixing 1g of carbohydrate into the muscles in the form of glycogen requires 3g of water i.e. a 3:1 ratio of water to carbohydrate. This is one reason why you can often feel thirsty following a carbohydrate-rich meal. With this in mind, fluid is critical during times of recovery and taper. If you are focusing on carbo-loading but not drinking adequate amounts you can actually risk pulling extra water from the blood stream into the GI Tract. This can result in dehydration. Therefore, fluid is critical for replacing sweat and urine losses, but also for glycogen storage before and after exercise. As you heat up, the body begins to enter survival mode. Rather than shunting blood to the working muscles, your blood stream prioritises blood flow to the skin and vital organs. The reduced blood flow to the GI Tract makes the digestion of complex drinks and nutrition difficult, and as a result people often begin to experience stomach upsets and nausea. During such periods of stress, your breathing and heart rates will increase, and your general efficiency takes a dramatic nose-dive. Under these additional stressors, your body temperature will start to rise, resulting in stress to the brain. Clarity of thinking will decrease, your ability to assess you body state becomes compromised (runner’s often complain of feeling cold when they overheat) and you may begin to feel disorientated. All sound like great things to avoid when racing! So should I just guzzle water? When we sweat and excrete urine, we don’t just loose fluids but also vital minerals. The main ingredient in sweat is sodium that is lost at a rate of 1-2g per liter. Other minerals that are lost are calcium, magnesium, potassium and chloride, although these are generally lost in much smaller quantities. Therefore, to replace fluid losses an electrolyte drink may be better than drinking pure water and the focus should turn to sodium. Are you putting the energy gels in but not receiving the ‘kick’? Over prolonged periods of heavy sweating, an individual can lose significant minerals, particularly sodium. 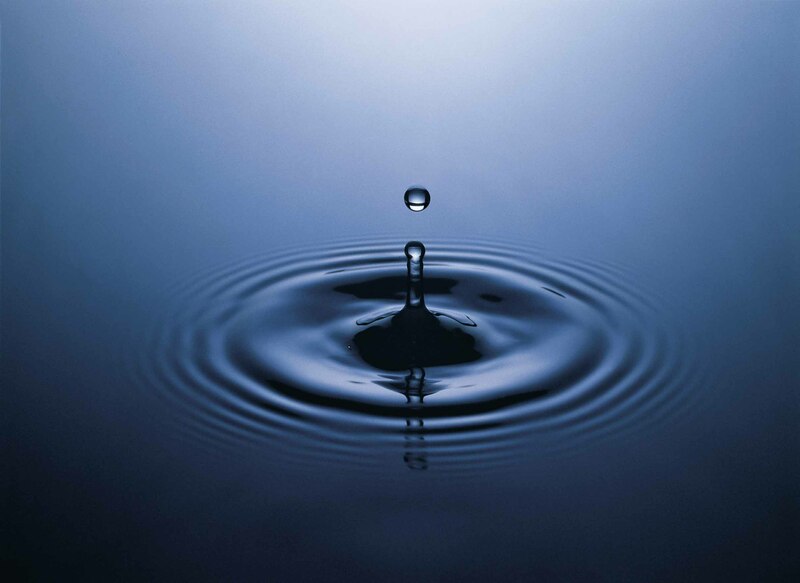 Drinking pure water can cause a dilution of the concentration of electrolyte minerals in the blood. This can begin to impair many of our normal physiological processes, including the transport of fluid and glucose across cellular membranes. That’s right, a lack of sodium can inhibit the transport of glucose into the working muscles cells. Another good reason for opting for an electrolyte drink is that the use of sodium is known to promote thirst. When electrolytes, particularly sodium, are present in appropriate concentrations, the rate of fluid absorption from the small intestine into the rest of the body appears to be enhanced. This is particularly important to consider when we are racing at intense levels with few possibilities to drink. 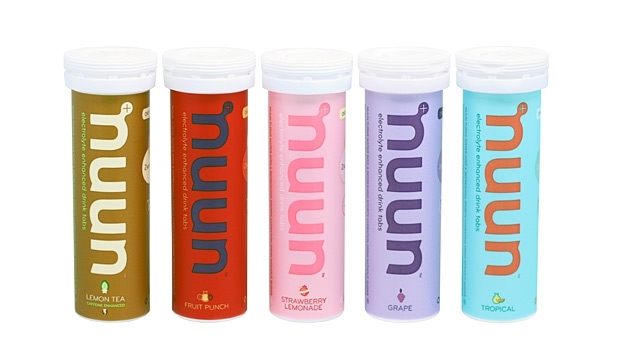 Are electrolyte drinks made equal? The simple answer is no! Many sports drinks market themselves as the best on the market, but are literally pumped full of simple sugars that are very foreign to the small intestine under stress. In fact, the presence of the sugar that remains dormant in the GI Tract can create a net movement of fluid from the blood stream back into the gut, resulting in stomach distress and dehydration. Therefore, sports drinks based around the medical principles for oral rehydration are perfect. Complexes such as Gastrolyte and Hydralyte that are tablets or powders dissolved in adequate water are proven to initiate rehydration even under the most stressful environments. These beverages contain a ratio of around 0.6g sodium per liter and minimal traces of the other elements. This is important because often sports drinks are pumped full of magnesium which also happens to be the first ingredient in all laxatives! Watch out for the heavily marketed brands, as these tend to be the worst for cheap, nasty ingredients. How much fluid you need to consume is dependent on your fitness level, size and the weather conditions. Hot, sticky conditions will cause greater fluid losses due to the necessity to lose greater amounts of heat from the skin’s surfaces. Conversely, a cool, damp Tasmanian-style day will require lower fluid quantities to be consumed. The best way to determine how much you should drink is to monitor your body weight before and after training runs under a range of different weather conditions. For example, on a 20-degree day you may find that in 1 hour of exercise you loose 1kg. This then equates to 1L/hour of exercise under such conditions. On a hot, humid 30-degree day this may increase to 2kg during the hour. Therefore, you would be loosing 2L/hour. Therefore, if you are running for longer than an hour, you should be looking to replace as much of this fluid loss as possible. The good news about running in hot weather is that you can teach your body to adapt. Learning about how much sweat you loose during training and beginning to replace these with an advanced electrolyte formula will make a world of difference to your training & racing performances. Recently I conducted a sweat test for Shotz at the Australian Institute of Sport. I had been complaining about taking on energy and water without feeling like I was getting anything back. When I did my sweat test they found I was loosing over 2L of fluid each hour on a 25-degree day! Further to this, in each liter of my sweat I was loosing 1.8g of sodium, the second highest reading they had ever measured! As you can imagine, this knowledge has significantly impacted the way I approach rehydration. In fact, sitting here writing this article after my morning run, I have a cup of tea on one side of me and a bottle of electrolyte on the other. In summary, all I can say is that if you get hydration right, it is like putting rocket fuel into your system. Also 2nd this. Waterlogged is an epic book, and everyone should read it. Thanks for the link Barry – we’re all for debate and presenting two sides to the story. Regarding your sweat loss at 1.8g/L, how much sodium were you consuming in your typical diet (and supplement drinks) during that time of testing? Sounds like the reason you have such a high level of sweat is because you may eat very sodium latent foods. Tend to disagree with the advice ‘if you are running for more than an hour, you should drink as much as possible’. As per comments above there is a lot written (ref. Waterlogged) about over-hydration and hyponatraemia these days being more of an issue than under hydration. Interestingly Haile Geb lost 5 kilos during his world record marathon attempt (almost 10% of his body weight!) and still managed to speed up in the last 10kms, so although he is a freak and outlier to the normal population, I have doubts about the affects of fluid loss on performance (ie 2%). Drink to thirst! Nevermind Spud. Misread your comment wrong. Hey guys, some good comments here and appreciate the responses. What we’ll be doing shortly is getting another view from one of our other writers on the topic. As always with any advice we believe that the old adage of ‘listen to everyone and follow no-one’ is the best advice i.e. work out what works for you best. We like to present differing thoughts and opinions on things to give rounded views – what works for one person, might not work for another.